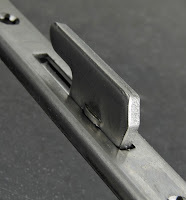 Yale has launched a new patio door lock, especially designed for today’s modern slimline patio doors. The innovative multipoint lock is an unhanded, stainless steel one piece lock featuring four or six bi-parting high security hooks. Yale’s new patio door lock features as standard an anti-slam device and an anti-lift probe for easy alignment with the one-piece keep. Further, the optional shootbolt is locked in the head of the patio door, which can be used as a ventilation lock and to secure the traditionally weak corner area, adding even more protection. It’s slim case design and one-piece faceplate aid in fabrication, making it easy to install and improving end user security and durability, reducing profile flex and maintaining maximum strength. Says Paul Atkinson, Sales Director: “Whilst homeowners prioritise locking systems for the front door, forced entry through a patio door has always been an overlooked issue. 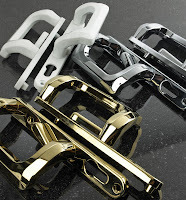 Our technical team has worked hard to develop this very specialist range of patio door locks to provide extra home security. Yale’s patio door locks has been UKAS tested to well over 100,000 cycles for ensured and is also constructed to withstand the latest security and human intervention tests. Yale also offers a range of additional security products to complement the mul-point patio lock range. As with all Yale’s products, the complete portfolio comes with a full 10-year mechanical guarantee. For further information on the full range of Yale home security solutions for fabricators and installers, please contact the Yale OEM helpline on 0845 223 2128 or visit www.yale.co.uk.